The R model GSX-R is the King of the track. So easy to ride it flatters all abilities. And till the end of March you can have it with super cheap 0% finance with as little as £1000 deposit. Buildbase GSX-R1000R is on our own special 36 month 0% deal with £3000 deposit. HP only. Regular bike can have 0% on PCP as well as HP. 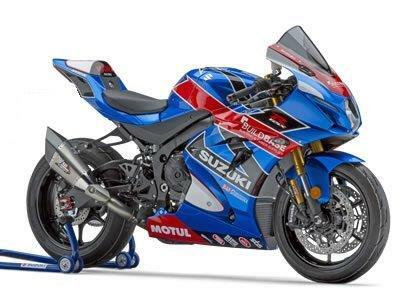 Buildbase GSX-R1000R special limited edition.